Elizabeth Dilling Welch, widow of Carl Whitby Welch, Jr., died early Wednesday morning, leaving behind four children, seven grandsons and two grandchildren. Elizabeth, 89, had been in declining health for several years but remained active and involved in her family, church, and community. Mrs. Welch had a long career as an employee of the federal government, spending that entire career working in Charleston SC, and eventually retiring from the Immigration and Naturalization Service. Following her retirement, she worked with prominent Charleston attorney Ms. Nancy Hawk, Esq. as an immigration consultant. She also worked with a variety of other attorneys around the state in that capacity. Mrs. Welch was the only child of Wayne Dilling and Ruby Hord Dilling, and was born and grew up in Gastonia, NC. She attended Flora McDonald College, a women’s College in Red Springs, NC during WWII and graduated with a degree in business. Following the safe return of Carl W. Welch, Jr., from his service during the war, she and her childhood sweetheart were married and started a family. The family moved to Charleston SC in the mid Fifties, where they spent the next forty plus years before moving to the Pelzer area due to his health. They were married for fifty three years until his death in 1999; but Elizabeth considered them married forever and her final count was 67 years. Mrs. Welch is survived by her children Holly Welch Durham, Stan Welch, Mark Welch, and Leslie Welch White. She had seven grandsons of whom she was outspokenly proud; Berry Durham, Zeke Durham, Adam Durham, Zack White, Lucas Welch, Kaleb White, and Jake White. Noel Durham and Brody Durham were her two beloved grandchildren. Mrs. Welch was a dedicated bridge player and an active member of the Williamston Presbyterian Church. She was a lifelong Republican and pledged in 2009 to live long enough to vote against Barack Obama once more, a promise she kept. Funeral arrangements are being handled by Gray Mortuary of Pelzer. Rev. Steve Ezell Schronce, 67, husband of Frances Holliday Schronce, of Belton, died Thursday, August 15, 2013 at AnMed Health Medical Center. Born in Greenville County, he was the son of the late E.M. Schronce and Mary Virginia Duncan Schronce. He was a member of Cedar Grove Baptist Church. He was a retired Baptist Minister and retired from the Greenville News and was in the U.S. National Guard. Surviving in addition to his wife of the home are sons, Scott Schronce of Belton and Jason Schronce of Honea Path; brothers, David Schronce of Greer, Arthur Schronce of Williamston and Allen Schronce of Belton; sister, Jane Gillespie of Belton; and four grandchildren. Funeral service was held Saturday at Cedar Grove Baptist Church. Burial followed in the church cemetery. Memorials may be made to Cedar Grove Baptist Church. Wayne A. Lambert, 56, died Wednesday, August 14, 2013. Born in Cheraw, he was the son of the late Jessie Thomas and Evie Lambert Bass. He was the owner of Lambert’s Heating and Air. Surviving are friend and mother of their children, Nancy Lambert; children, Melissa Lambert Clark of Darlington, Andrea Lambert Davis of Pelzer and Kevin Andrew Lambert of Pelzer; four grandchildren; and one brother, Clint Bass of Marietta. A memorial service was held Sunday, Aug. 18 at the Piedmont Community Building, 3 Main St., Piedmont. Memorials may be made to Shriners Hospital. Allen Ray Manley, 63, of Williamston, died Friday, August 16, 2013. Born in Greenville, he was a son of the late Roy Edward and Vivian Elizabeth Dockins Manley. He was a Vietnam War Veteran of the U.S. Air Force. He worked for Anderson School District One. He is survived by his son, Shawn Allen Manley of Minneapolis, MN; brothers, Jack Manley of Belton, David Manley of Greenville; sisters, Judy Moody of Travelers Rest, Linda Medlin of Greenville; girlfriend, Becky Gee, of the home; half-brothers, Eddie and Samuel Manley, both of Greenville; and half-sister, Angie Hughes of Greenville. The funeral was held Wednesday in the funeral home chapel of Gray Mortuary, Pelzer. Burial followed at the M.J. Dolly Cooper Veterans Cemetery. Donnie Ray Elrod, 53, of Belton, died Saturday, August 17, 2013, at Magnolia Place of Greenville. Born in Anderson, he was the son of the late John Howard and Rosie Ola Campbell Elrod. Surviving are his brother, John Robert Elrod of the home; his sisters, Susan Murphy of Belton, and Nora Franks of Starr. The funeral was held Tuesday in the funeral home chapel of Gray Mortuary, Pelzer. Burial followed at Cedar Grove Baptist Church. Memorials may be made to Lutheran Hospice, 218-A Trade Street, Greer, SC 29652. Louise Marie Jones Ellis, 54, of Pelzer, died August 14, 2013. She retired from the Greenville News and attended Bessie Road Baptist Church. Surviving are her parents, John and Lucille Jones; daughter, Nova Lynn Ellis; sons, Michael Keith Jones and Brian and Dee Ellis; eight grandchildren; a sister, Linda Styles; and two brothers, William and Michael Jones. Funeral service was held August 18 at Thomas McAfee Funeral Home, Southeast. Burial followed in Cannon Memorial Park. Memorials may be made to Piedmont Hospice, 1865 E. Main Street, Suite F, Duncan, SC 29334. William Haynie “Bill” Tribble, 73, of Belton, died Saturday, August 17, 2013 at AnMed Health Center. Born in Anderson County, he was a son of the late Judson Calhoun and Sadie Bell Wilson Tribble. He was a self-employed backhoe operator. Surviving are one son, Randy Tribble of Belton; one daughter, Tannis Tribble Ricketts of Belton; a brother, Carroll Tribble of Honea Path; three sisters, Betty Tribble Robins and Ruby Tribble McMinn, both of Anderson, and Sandra Tribble Tucker of Williamston; and three grandchildren. Graveside services were held Monday, Aug. 19 at the Garden of Memories. Wanda Lou Grigsby Powell, 69, of Easley, wife of Bob B. Powell, died Saturday, August 17, 2013 at Greenville Memorial Hospital. Born in Jefferson County, AL, she was a daughter of the late Ruby Scott Grigsby Durham. She was a member of Living Sanctuary. In addition to her husband, she is survived by daughters, Kim Bullard of Powdersville and Katina Shirley of Simpsonville; brother, Gary Grigsby of Spartanburg; sister, Geraldine Cooper of Anderson; nine grandchildren; and one great-granddaughter. Funeral service was held Aug. 21 at Living Sanctuary. Burial followed in Robinson Memorial Gardens. Memorials may be made to Living Sanctuary, 201 Piedmont Rd., Piedmont, SC 29673. Billy H. Hughes, 78, husband of Jean C. Hughes, died Saturday, August 17, 2013 at An-Med Health Center. Born in Anderson County, he was a son of the late Richard Marion and Gertude Ellen McGaha Hughes. He was a member of Southside Baptist Church, a veteran of the U.S. Navy, and retired from Glen Raven Mill of Anderson. Surviving are his wife of the home; two sons, Steven Hughes of Anderson and Rev. Mark Hughes of Anderson; one brother, Bobby Hughes of Honea Path; one sister, Annette Hughes of Williamston; and four grandchildren. Funeral services were held Monday at Southside Baptist Church. Burial followed in Garden of Memories. Gary Harold Garrett, 82, of Greenville, husband of Martha Sue Pitt Garrett, died Thursday, August 15, 2013. Born in Piedmont, he was a son of the late Clifton L. and Geneva Poole Garrett. He served in the US Navy and retired from Saco Lowell. He was a member of Monaghan Baptist Church. In addition to his wife, he is survived by sisters, Mary McElveen, Lucille Lynch, Joyce Ayers, and Dorothy Watt. Funeral service was held Monday, Aug. 19 at Monaghan Baptist Church. Burial followed at Woodlawn Memorial Park. Memorials may be made to the Monaghan Baptist Church Music Minstry, 1500 West Parker Road, Greenville, SC 29617. James “Jamie” David Winn, 41, of Belton, died Tuesday, August 20, 2013 at Greenville Memorial Hospital. Surviving are his father and step-mother, David Lee and Barbara Dale Winn of Belton; his mother and step-father, Susan Tucker Chapman and Mike Chapman of Greer; daughter, Katlyn Nicole Behanna of Greer; sisters, Heather Millmaker of Belton, Tammy Gillespie of Pelzer; grandmother, Ruby McNeil of Belton; step-brother, Jerry Herbert Merritt, Jr. of Belton; and step-sister, April Pace of Piedmont. He was self-employed and a member of Cedar Shoals Baptist Church. Visitation will be held from 2:00 – 4:00 pm Friday at Cedar Shoals Baptist Church with funeral services following at 4:00 pm at the church. Burial will be in Mt. Pisgah Baptist Church cemetery. The family is at the home of David and Barbara Winn, 1761 Holiday Dam Road, Belton. WILLIAMSTON – John Calvin Neel III, 67, died Wednesday, August 14, 2013. Born May 3, 1946 in Newberry, he was the son of the late John Calvin Neel, Jr. and Sarah Stutts Neel. He was a retired school teacher with 33 years service. Survivors include his wife, Shirley Stewart Neel of the home; son, Dr. J.C. Neel IV and wife, Courtney of Powdersville; two daughters, Janie Neel of Raleigh, NC and Elizabeth Neel of Williamston; grandson, Cal Neel V of Powdersville; sisters, Janie Medlin and husband, Rick of Bowling Green, KY and Peggy Neel of Williamston; and a brother, Dan Neel of Saluda. A memorial service will be held at a later date. The family will receive friends from 6 until 8 p.m. Friday, August 16 at Sullivan-King Mortuary, 3205 North Highway 81, Anderson. 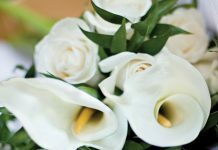 In lieu of flowers, memorials may be made to MUSC Hollings Cancer Center, Office of Development, 86 Jonathan Lucas Street, MSC 955, Charleston, SC 29425.